Over the past five years, the world has become increasingly mobile. 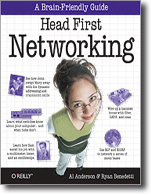 Traditional ways of networking have altered to accommodate new lifestyles and ways of working. Wireless networks offer several advantages over fixed (or wired) networks, with mobility, flexibility, ease and speed of deployment, and low-cost at the top of the list. Large productivity gains are possible when developers, students, and professionals are able to access data on the move. Ad-hoc meetings in the lunch room, library, or across the street in the cafe allow you to develop ideas collaboratively and act on them right away. Wireless networks are typically very flexible, which can translate into rapid deployment. Once the infrastructure is in place, adding new users is just a matter of authorization. 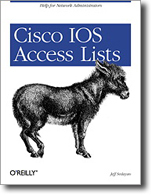 After a general introduction to wireless networks, this practical book moves quickly into the gory details of the 802.11 standard. If you ever need to debug a wireless network that isn’t working properly, you’d better understand this material. 802.11 MAC (Media Access Control), detailed 802.11 framing, WEP (Wired Equivalent Privacy protocol), 802.1x, management operations, and the PCF (point coordination function) are all covered in detail. Author Matthew Gast also supplies impressive detail on the physical layers. As for getting a wireless network up and running… Gast offers clear, no-nonsense guide for using 802.11 on Windows and Linux, using and selecting access points, making deployment considerations, and seeing to 802.11 network monitoring and performance tuning. In the final section of the book, he summarizes the standardization work pending in the 802.11 working group. 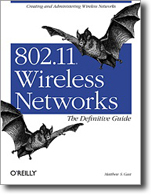 If you’re looking for one book that provides a full spectrum view of 802.11, from the minute details of the specification, to deployment, monitoring, and troubleshooting, 802.11 Wireless Networks: The Definitive Guide is worth its weight in gold.